A car drives on the Krymsky (Crimean) Bridge over the Kerch Strait on May 15, 2018, prior to its opening ceremony. Ukrainian President Petro Poroshenko demanded Monday the immediate release of Ukrainian sailors and warships after they were attacked and seized by Russia in the Kerch Strait, a body of water between Russia’s mainland and Crimea, the peninsula that the Kremlin annexed from Ukraine in 2014. According to a statement by Ukraine’s Ministry of Foreign Affairs, the attack was carried out on three Ukrainian navy vessels as they were crossing from the Ukrainian port of Odessa on the Black Sea to the Ukrainian port of Mariupol on the Sea of Azov. The Kerch Strait connects the two seas. The Ukrainian foreign ministry said that the sea crossing was in accordance with multilateral and bilateral international treaties and navigational rules, while its Russian counterpart said in a statement that the the Ukrainian naval ships were in "gross violation of the rules of peaceful passage" in Russia's territorial waters in the Black Sea. The Associated Press reports that the Kerch Strait and Sea of Azov are shared territorial waters, per a 2003 treaty. Ukrainian President Petro Poroshenko delivers an address in Singapore on Dec. 3, 2015. 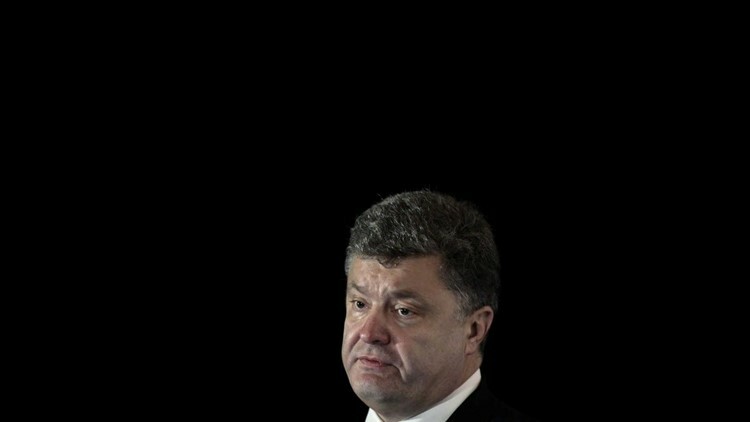 Poroshenko described the Russian attack as a “deliberate action,” involving the use of weapons against Ukrainian sailors, six of whom were wounded, in statements published on the Ukrainian president’s official website. Russian news agency TASS, citing Russia's Federal Security Service, reports that three Ukrainian armed service members were wounded in the attack and have received medical assistance. "I appeal to the leadership of the Russian Federation with a demand to immediately release the Ukrainian servicemen who were brutally detained in violation of international law and whose fate is unknown," Poroshenko said at a meeting of Ukraine’s National Security and Defense Council. "We demand to immediately transfer them to the Ukrainian side along with the ships and ensure de-escalation of the situation in the Sea of Azov – as a first step, and de-escalation in other directions." According to a statement on the Ukrainian president’s website, the country’s National Security and Defense Council, chaired by Poroshenko, approved plans for a 60-day period of martial law it deems necessary for helping to repel “armed aggression” and ensure national security. Poroshenko has asked that the Verkhovna Rada, the Ukrainian parliament, discuss the draft decision for martial law in an extraordinary session, according to the president’s website.